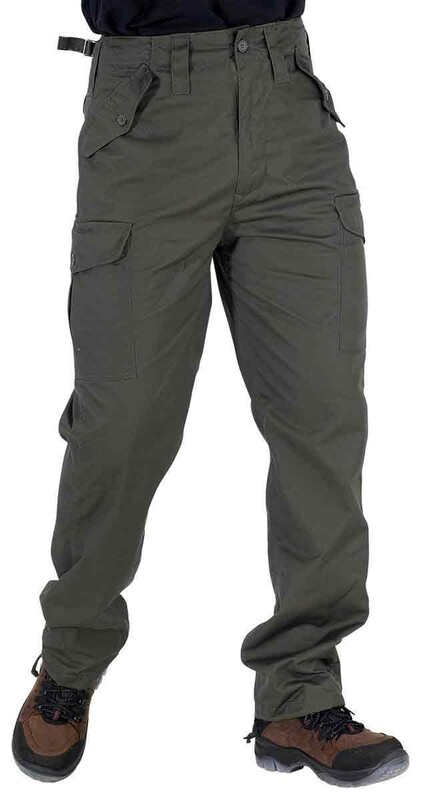 A pair of army style work trousers with plenty of pockets. Poly/Cotton Combat Trousers in conventional style. Two front pockets and two lower patch pockets. Adjustable cord at ankle. 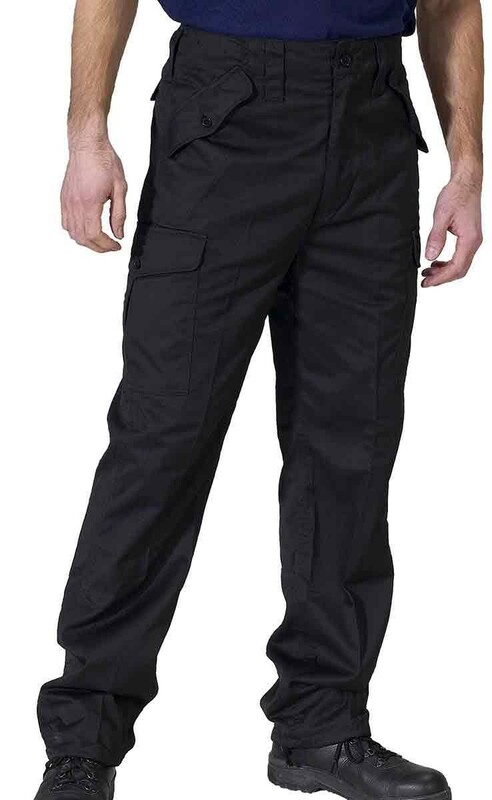 Like almost all styles of combat trousers, these only come in a single leg length. I've been wearing CLICK PCCT's pretty much EVERY day for the past 18 years, usually in Olive colour. It's rare for me to give anything 5 stars but these are so very comfortable and very practical. The only small potential downside is that there's only one leg length so most folks need someone to shorten them - the upside being that you should end up with the perfect length for you. I am absolutely delighted of the quality and colour of the trousers, well produced.